Ryanair is launching new winter flights from Exeter Airport to Alicante in Spain starting 29 October 2019. The announcement of the twice-weekly service comes days after Ryanair launched three new routes from Exeter to Malta, Malaga and Naples, its first ever flights from the airport. It will also enable passengers to continue flying from Exeter to Alicante when Flybe stops its winter service in October. Flybe has confirmed the route would cease when it withdraws a jet aircraft from Exeter on 26 October as part of its planned fleet reduction strategy. It is focusing instead on its Q400 aircraft, which operates the vast majority of its domestic and European routes from Exeter. 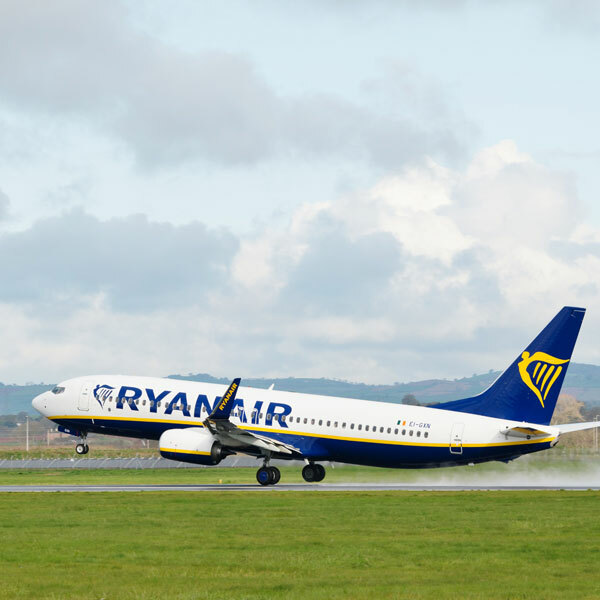 Matt Roach, managing director of Exeter Airport, said: “We’re delighted that Ryanair is expanding its network from Exeter and that there will be no gap in service for passengers to Alicante between the summer and winter timetable. To cater for extra demand Exeter Airport is investing £1 million in new passenger handling facilities in preparation for the peak season. Ryanair’s flights from Exeter to Alicante will operate twice a week on Tuesdays and Saturdays, and are on sale now at ryanair.com. • For details of Exeter Airport, visit exeter-airport.co.uk. • Business Action is the North Devon-based business magazine and news service. Magnetic North Devon | What attracted you to run your business here? © Need it Find it 2019.